As nations in Central and Eastern Europe continue to upgrade their defence equipment, the military helicopter has become a focus of many air forces wishing to ensure they have a strong rotary fleet capable of multifunctional operations. There is therefore a need for a high level meeting that brings together senior military leadership, project decision makers and technical experts alongside the helicopter manufacturers and cutting edge industry solution providers to collaborate on future endeavors that will enhance the security and stability of Eastern Europe and its neighbouring countries. The SMi Group, in partnership with the Defence and Security Industry Association of the Czech Republic (DSIA), bring you Helicopter Technology Eastern Europe 2015, a must attend meeting for all those focused on military rotary technology advancement the region. Whether you are focused on helicopter platforms or systems, this event will allow you access to an unprecedented level of senior military helicopter programme managers and those with direct responsibility for finding the next generation of equipment for their armed forces when it comes to rotary operational capability. We are delighted that Brigadier General Libor Stefanik, Commander, Czech Air Force will be supporting the event and delivering the opening host nation keynote address. As I am sure you know, the Czech Air Force is prioritising the advancement of its military helicopter capabilities, and it is very fitting that the commander will share his thoughts on this ongoing modernisation of the nation’s rotary fleet. The participants Helicopter Technology Eastern Europe 2015 will be the most senior decision makers responsible for modernising and procuring new military helicopters, as well as some the of regions most experienced operators of rotary craft, all meeting to demonstrate their intentions for advancing capability and laying down foundations of future collaboration and standardisation between nations. If you are interested in developing business in this key market, don’t miss the opportunity to brand yourself in front of those who will be shaping Central and Eastern Europe’s military helicopter capability. Lieutenant General Trautman served as the Deputy Commandant for Aviation for the United States Marine Corps from July 2007 to December 2010 and retired in April 2011 after 37 years of active duty service to the United States Marine Corps. Lieutenant General Trautman entered the Marine Corps in 1974 as a UH-1 pilot and has flown and commanded aviation units at every operational level to include Marine Light Attack Helicopter Squadron 169, Marine Aircraft Group 36, Assistant Wing Commander, 3d Marine Aircraft Wing, and as the Commanding General for the 1st Marine Aircraft Wing in Okinawa, Japan. As an instructor pilot, Lieutenant General Trautman had his first direct impact on Marine Corps aviation when he was an instructor pilot with Marine Aviation Weapons and Tactics Squadron One at Marine Corps Air Station Yuma, Arizona. Three years with Marine Light Attack Helicopter Squadron 169 provided Lieutenant General Trautman a wealth of experience both forward deployed and during combat operation as he served first as Executive Officer, and then as Commanding Officer in support of Operations Desert Shield and Desert Storm. Outside of Aviation Lieutenant General Trautman has extensive experience in the Pacific as both the Commanding Officer of Marine Aircraft Group 36 in Okinawa, Japan as well as Deputy Commanding General, I Marine Expeditionary Force and Commanding General, 1st Marine Expeditionary Brigade. Throughout his career Lieutenant General Trautman had the opportunity to affect U.S. Marine Corps and Joint plans, policy, and requirements with multiple tours through headquarters staff sections in both the Pentagon as well as U.S. Central Command. While assigned to U.S. Central Command, Lieutenant General Trautman would again deploy to the Middle East in support of Operations Enduring Freedom and Iraqi Freedom. Lieutenant General Trautman is a graduate of Pennsylvania State University and holds a Master of Science degree in Systems Management from the University of Southern California, Master of Arts degrees in International Relations from Salve Regina University and in National Security and Strategic Studies from the Naval War College. He is also a graduate of the Armed Forces Staff College and has served as a Fellow in residence at the Brookings Institution. The United States Marine Corps demanded new attack and utility platforms with increased capability at reduced life cycle cost. The presentation will examine in depth the H-1 design and support philosophies employed to satisfy these 21st century requirements and their applicability to other nations. · Airframe silhouette was optimized based on combat experience. Inside of this, these aircraft are the latest iteration of attack and utility platforms proven in combat operations and deployed globally with the US Marine Corps. · New-build airframes, new dynamic components, world-class sensor packages, glass cockpits, and integrated avionics and software. Performance improvements include increased speed, range, lethality, and useful payload resulting in a significant evolutionary step forward in rotor-craft capability. · Significantly reduced total ownership costs are accomplished through a design approach that features 85% commonality of maintenance-significant components and a sustainment philosophy focused on ease of maintenance. · Unique in this category of rotorcraft, both are fully expeditionary platforms, optimized for extended amphibious operations aboard naval shipping which results in a rugged, combat exceptional aircraft capable of extended operations afloat or ashore in unimproved operating bases. · Currently in full-rate production and deployed globally in Afghanistan and as part of Marine Expeditionary Units, the H-1 Program is providing the US Marine Corps with reliable, high capability platforms at significantly reduced support costs. Scott Clifton joined Bell Helicopter in January 2013 as a Manager in Global Military Business Development focusing on the AH-1Z / UH-1Y Program and the legacy AH-1W platform. He is the campaign lead for the 407GXP option for the United States Navy to replace the TH-57 helicopter in the training command. Additionally, he is the lead for the Marine Corps path forward on the Future Vertical Lift program and assists with the V-22 Campaign. Prior to joining Bell Helicopter, Scott was a career officer with the United States Marine Corps serving for 20 years as an AH-1 pilot. He began his career flying the AH-1W Super Cobra and completed his career as the Executive Officer of Marine Aircraft Group 39, flying the AH-1Z. As a pilot, he has completed 2 combat deployments to Iraq and 2 additional expeditionary deployments aboard US Navy amphibious ships first to the Mediterranean Sea and European countries to include Bosnia and the second to the Western Pacific and Arabian Gulf regions. During his career, Scott worked in multiple billets ranging from Night Systems Instructor in the AH-1, Operational Test Director for the AH-1W and AH-1Z focusing on avionics and weapons systems for both platforms, and taking part in Operational Test IIB for the AH-1Z. Outside of the cockpit, Scott was assigned to the Pentagon working for the Deputy Commandant for Aviation managing the Overseas Contingency Operations budget and the overall budget for Marine Corps Aviation. After leaving the Pentagon, he returned to the fleet as the Operations Officer for Marine Aircraft Group 39 and transitioned to the AH-1Z after being selected to be the Aviation Combat Element Executive Officer for the first AH-1Z deployment with HMM-268(Reinforced) supporting the 11th Marine Expeditionary Unit aboard the USS Makin Island. Scott retired from the Marine Corps with over 2,500 flight hours and 225 combat missions. During his career, Scott has had seven professional articles published regarding Marine Corps aviation to include the General Roy Geiger Aviation Writing Award in 2011. Scott graduated from North Carolina State University with a Bachelor of Science degree in Political Science and the Naval Postgraduate School with a Master of Science degree in Information Technology Management. 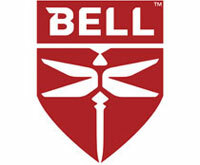 Bell, a wholly owned subsidiary of Textron Inc., is an industry-leading producer of commercial and military, manned and unmanned vertical-lift aircraft and the pioneer of the revolutionary tiltrotor aircraft. Globally recognized for world-class customer service, innovation and superior quality, Bell's global workforce serves customers flying Bell aircraft in more than 120 countries. More information is available at www.bellflight.com. With a steadily increasing annual turnover approaching the billion dollar benchmark in 2012, ASELSAN has earned itself a sustainable place in the “Top 100 Defense Companies” listings published by prestigious journals. ASELSAN’s focus on innovation and R&D has significantly helped to strengthen its position in the international arena. ASELSAN allocates on average 7% of its yearly sales to R&D expenditures with dedicated teams of R&D scientists and engineers, empowering its priorities of indigenous design. View details Astronautics Sponsors and Exhibitors http://www.astronautics.co.il/ Astronautics is an established avionics supplier, with a wide range of avionics products supplied to the aviation industry for over 40 years. Astronautics currently supplies avionic products for both military and civil platforms, including full civil & military certification. Our customers are leading aviation industries such as Boeing, Lockheed Martin, Bell Helicopters, Sikorsky, EADS, Airbus Military, Singapore Aerospace, Israel Aerospace Industry (IAI), Agusta Westland, HAL, and others. Astronautics develops and manufactures airborne displays in various product lines: Primary Flight Displays, UFCD (Up Front Control Display), EICAS displays, EFB (Electronic Flight Bag) displays, Multi Function Color Displays (MFCDs), Mission Displays and more. We develop, manufacture and support airborne Displays for various platforms including fighters such as the F-16, F-15, Tornado, Helicopters such as the A-109, UH-1, TH-1, ALH etc., Trainers such as the Pilatus PC-7/PC-9 and Transport a/c such as the C-130, as well as civil aircraft such as the Airbus A310 and the Boeing 747/757/767. At last count, Astronautics holds over 130 TSOs for various products and systems Astronautics focus is military and commercial electronics for aerospace, land systems, and ships. A unique product recently developed and sold to various customers is TactiX – a tactical mission system for helicopters and transport aircraft, featuring full situational awareness view, information sharing (data, images & video streaming) between forces (C4I), mission management and more. TactiX supports information sharing among crew-members in a modern onboard network architecture, with quick and easy access to any information the pilots may required to effectively perform their mission. View details Axnes Aviation Sponsors and Exhibitors http://www.axnes.com Axnes Aviation develops and supplies advanced and highly durable wireless intercom solutions for use in and outside aircraft and in other demanding applications. AXNES is well known for its wireless ICS systems, and today more than 750 aircraft worldwide are equipped with AXNES wireless technology. The company has been supplying its wireless intercom systems to the industry for almost two decades and is an EASA Part 21 and Part 145 approved organization. AXNES is an approved supplier to OEMs such as Agusta Westland, Airbus Helicopters, Bell Helicopter and Sikorsky. View details Lockheed Martin Missiles and Fire Control Sponsors and Exhibitors http://www.lockheedmartin.com/us/mfc.html Lockheed Martin Missiles and Fire Control develops, manufactures and integrates world class air defense, fire support, strike weapon, naval munition, combat vision, anti-armor and advanced product solutions and systems for U.S. and international armed forces. Headquartered in Bethesda, Md. Lockheed Martin is a global enterprise principally engaged in the research, design, development, manufacture and integration of advanced technology systems products and services. View details Pall Corporation Sponsors and Exhibitors http://www.pall.com/aerospace-defense-marine The global leader in providing filtration and separation solutions for commercial & military aircraft, vehicles and ships. Pall’s filter products are used on all major platforms to ensure consistent, reliable equipment performance. Applications include engine lube and fuel, hydraulic and transmission fluid, cabin air, avionics cooling and engine air filtration. View details Sikorsky Aircraft Sponsors and Exhibitors www.sikorsky.com Sikorsky Aircraft is a world leader in the design, manufacture, and service of military and commercial helicopters. The company is best known for its multi-role BLACK HAWK and SEAHAWK® helicopters, and best-in-class S-76® and S-92® helicopters for search and rescue, VIP and offshore oil transport. A subsidiary of United Technologies Corporation, Sikorsky employs 16,000 people globally with principal manufacturing facilities in the United States and Poland, and joint ventures or supplier operations in Europe, the Middle East and Asia. New and next generation products in development include the CH-53K heavy lift and X2® rigid rotor coaxial helicopters, and optionally piloted rotorcraft. View details Defence and Security Industry Association of the Czech Republic (DSIA) Official Media Partner http://www.aobp.cz/en/english/home-page Defence and Security Industry Association of the Czech Republic (DSIA) associates Czech companies engaged in research, development, production, trade and marketing of the military and security equipment, material and services. It was founded in 1997 as a non-governmental, independent, apolitical, non-profit organization. Since its foundation it is a respected partner of the Czech Government, the Ministries of Industry and Trade, Defence, Interior and Foreign Affairs. With these institutions the DSIA signed a series of cooperation agreements. DSIA is a partner of organizations such as the Chamber of Commerce or Confederation of Industry and Transportation of the Czech Republic. The Association also cooperates with the publishing house MS Line on publishing a magazine called the Czech Defence Industry and Security Review which is a media platform for the Czech defence and security industry. DSIA promotes business and commercial interests of its members in a dialogue with the Parliament, ministries, other government authorities. It became an important partner and participant in the legislative processes. Its discussions at the "round tables" or face to face meetings with representatives of the state administration or the Parliament help to deal with the defense and security industry issues. View details Defence Industries Supporters http://www.defence-industries.com Defence Industries, our one-of-a kind business venture has been an across- the –board network that intensifies the defence industries market by promoting paramount companies in the sector. Being an industry specific market resource center, defence industries allies buyers and suppliers across the global defence industry, for better business outputs. Used as a means that creates partnerships and as a point of reference by professionals within the defence industry, this comprehensive resource is a knowledge bank of the latest news releases, detailed information on industry projects, forthcoming events, white papers, interviews by industry professionals about the latest technologies developed in the industry, informative articles, and an elaborate categorization of products and services. Our promotional strategies, targeted at an array of relevant professionals, enhance market-visibility, in the Defence Industry. Be our guest in the Golden City of Prague. The 4-star Dorint Hotel Don Giovanni in Prague radiates the charm of a wonderful bygone era in its own highly modern way. Named after the famous Mozart opera, which enjoyed its maiden performance in Prague in 1787, the hotel lobby resembles a large theater. You are now in the inimitable world of Prague, where so much appears to stem from another time and every street corner seems to be of historic significance. The Dorint Hotel Don Giovanni Prague will help you to ensure that your time in Prague is as enjoyable as possible, whether you are on a business trip or planning a city break to discover the Golden City of Prague for yourself. Astronautics is an established avionics supplier, with a wide range of avionics products supplied to the aviation industry for over 40 years. Astronautics currently supplies avionic products for both military and civil platforms, including full civil & military certification. Our customers are leading aviation industries such as Boeing, Lockheed Martin, Bell Helicopters, Sikorsky, EADS, Airbus Military, Singapore Aerospace, Israel Aerospace Industry (IAI), Agusta Westland, HAL, and others. Astronautics develops and manufactures airborne displays in various product lines: Primary Flight Displays, UFCD (Up Front Control Display), EICAS displays, EFB (Electronic Flight Bag) displays, Multi Function Color Displays (MFCDs), Mission Displays and more. We develop, manufacture and support airborne Displays for various platforms including fighters such as the F-16, F-15, Tornado, Helicopters such as the A-109, UH-1, TH-1, ALH etc., Trainers such as the Pilatus PC-7/PC-9 and Transport a/c such as the C-130, as well as civil aircraft such as the Airbus A310 and the Boeing 747/757/767. At last count, Astronautics holds over 130 TSOs for various products and systems Astronautics focus is military and commercial electronics for aerospace, land systems, and ships. A unique product recently developed and sold to various customers is TactiX – a tactical mission system for helicopters and transport aircraft, featuring full situational awareness view, information sharing (data, images & video streaming) between forces (C4I), mission management and more. TactiX supports information sharing among crew-members in a modern onboard network architecture, with quick and easy access to any information the pilots may required to effectively perform their mission. Axnes Aviation develops and supplies advanced and highly durable wireless intercom solutions for use in and outside aircraft and in other demanding applications. AXNES is well known for its wireless ICS systems, and today more than 750 aircraft worldwide are equipped with AXNES wireless technology. The company has been supplying its wireless intercom systems to the industry for almost two decades and is an EASA Part 21 and Part 145 approved organization. AXNES is an approved supplier to OEMs such as Agusta Westland, Airbus Helicopters, Bell Helicopter and Sikorsky. Lockheed Martin Missiles and Fire Control develops, manufactures and integrates world class air defense, fire support, strike weapon, naval munition, combat vision, anti-armor and advanced product solutions and systems for U.S. and international armed forces. Headquartered in Bethesda, Md. Lockheed Martin is a global enterprise principally engaged in the research, design, development, manufacture and integration of advanced technology systems products and services. The global leader in providing filtration and separation solutions for commercial & military aircraft, vehicles and ships. Pall’s filter products are used on all major platforms to ensure consistent, reliable equipment performance. Applications include engine lube and fuel, hydraulic and transmission fluid, cabin air, avionics cooling and engine air filtration. Sikorsky Aircraft is a world leader in the design, manufacture, and service of military and commercial helicopters. The company is best known for its multi-role BLACK HAWK and SEAHAWK® helicopters, and best-in-class S-76® and S-92® helicopters for search and rescue, VIP and offshore oil transport. A subsidiary of United Technologies Corporation, Sikorsky employs 16,000 people globally with principal manufacturing facilities in the United States and Poland, and joint ventures or supplier operations in Europe, the Middle East and Asia. New and next generation products in development include the CH-53K heavy lift and X2® rigid rotor coaxial helicopters, and optionally piloted rotorcraft. Defence and Security Industry Association of the Czech Republic (DSIA) associates Czech companies engaged in research, development, production, trade and marketing of the military and security equipment, material and services. It was founded in 1997 as a non-governmental, independent, apolitical, non-profit organization. Since its foundation it is a respected partner of the Czech Government, the Ministries of Industry and Trade, Defence, Interior and Foreign Affairs. With these institutions the DSIA signed a series of cooperation agreements. DSIA is a partner of organizations such as the Chamber of Commerce or Confederation of Industry and Transportation of the Czech Republic. The Association also cooperates with the publishing house MS Line on publishing a magazine called the Czech Defence Industry and Security Review which is a media platform for the Czech defence and security industry. DSIA promotes business and commercial interests of its members in a dialogue with the Parliament, ministries, other government authorities. It became an important partner and participant in the legislative processes. Its discussions at the "round tables" or face to face meetings with representatives of the state administration or the Parliament help to deal with the defense and security industry issues. Defence Industries, our one-of-a kind business venture has been an across- the –board network that intensifies the defence industries market by promoting paramount companies in the sector. Being an industry specific market resource center, defence industries allies buyers and suppliers across the global defence industry, for better business outputs. Used as a means that creates partnerships and as a point of reference by professionals within the defence industry, this comprehensive resource is a knowledge bank of the latest news releases, detailed information on industry projects, forthcoming events, white papers, interviews by industry professionals about the latest technologies developed in the industry, informative articles, and an elaborate categorization of products and services. Our promotional strategies, targeted at an array of relevant professionals, enhance market-visibility, in the Defence Industry.